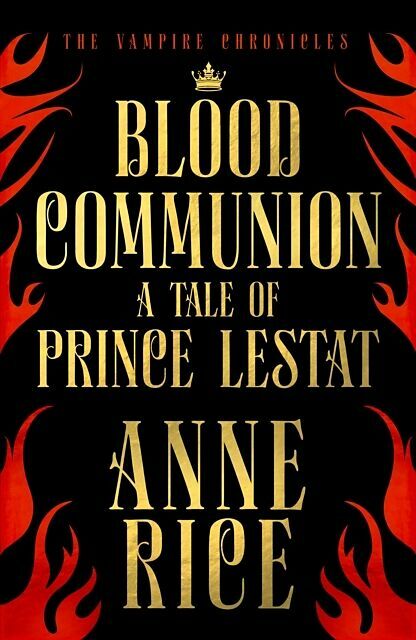 FROM INTERNATIONALLY BESTSELLING AUTHOR AND 'QUEEN OF THE UNDEAD', ANNE RICEThe Vampire Chronicles continue with a riveting, rich saga - part adventure, part fairy tale - of Prince Lestat and the story of how he came to rule the vampire worldFrom his meticulously restored ancestral chateau high up in the mountains of France, Prince Lestat grapples to instil a new ideology of peace and harmony among the blood-drinking community. Accustomed to welcoming the Undead from far and wide, one night he awakes to news of a ruthless attack by a group of maverick blood-drinkers. After fleeing to investigate the terror, Lestat learns of several new enemies who despise his rule over the blood-drinking realm, and who are intent on disrupting the harmony he tries so hard to maintain. But is Lestat strong enough to take on such evil alone or will sacrifices have to be made? Will his cry for peace be heard in a world riddled with violence?An enthralling, spellbinding adventure that sweeps from the snowy French mountains to the verdant wilds of Louisiana, on to the far reaches of the Pacific's untouched islands and back to 18th-century St. Petersburg, Blood Communion will have readers gripped to the very end. It is not just a compelling tale of a troubled leader, but a novel about the power of ambition, as well as a timely reflection on the struggle of individuals to find and defend their place in the world. 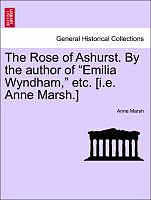 Anne Rice is the author of more than thirty internationally bestselling books including the Mayfair Witches sequence, Songs of the Seraphim and the Wolf Gift Chronicles. The phenomenon that became the Vampire Chronicles began with Interview with the Vampire in 1976, later made into a film starring Tom Cruise and Brad Pitt, and culminated with Blood Canticle in 2003. 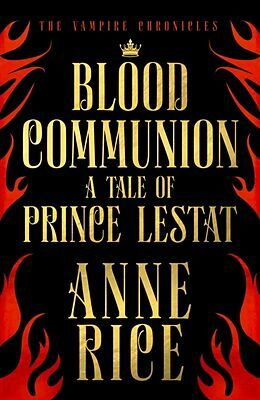 Prince Lestat, published in 2014, and Prince Lestat and the Realms of Atlantis, published in 2016, were the first new Vampire Chronicle novels for over a decade. Anne Rice lives in California. From his meticulously restored ancestral chateau high up in the mountains of France, Prince Lestat grapples to instil a new ideology of peace and harmony among the blood-drinking community. Accustomed to welcoming the Undead from far and wide, one night he awakes to news of a ruthless attack by a group of maverick blood-drinkers. After fleeing to investigate the terror, Lestat learns of several new enemies who despise his rule over the blood-drinking realm, and who are intent on disrupting the harmony he tries so hard to maintain. But is Lestat strong enough to take on such evil alone or will sacrifices have to be made? Will his cry for peace be heard in a world riddled with violence? An enthralling, spellbinding adventure that sweeps from the snowy French mountains to the verdant wilds of Louisiana, on to the far reaches of the Pacific's untouched islands and back to 18th-century St. Petersburg, Blood Communion will have readers gripped to the very end. 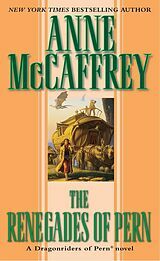 It is not just a compelling tale of a troubled leader, but a novel about the power of ambition, as well as a timely reflection on the struggle of individuals to find and defend their place in the world.